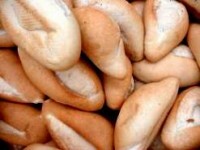 USES: The bolillo is an oval, split-top crusty “French” roll used for making tortas. It’s one of the most popular rolls used in Mexico. FINDING: At Mexican bakeries and most Mexican groceries. STORING: Freshest if used the same day or freeze.